Great location for our needs. Staff were friendly and pleasant. Beautiful scenery from my room on the top floor. The room was quite a bit nicer than I expected for the price I paid. It had a balcony, large bathroom and couch and armchair. Lots of easily available electrical outlets for my devices. It appeared to be a new property. The lobby was bright with much natural light. Very clean. Great location and price. You get a discount at IHOP which is very helpful for large groups. Rooms are clean but wear slippers in the bathroom cause those tiles are mighty COLD!!!! We picked this hotel for a team and it worked wonderfully because we could put 5 people in one room. Close to Orchard Park Mall. Located across the street from Orchard Park Mall. Near by is Scandia (mini-golf), a movie theatre (5 minutes), Orchard Park Mall (15 min). Orchard Park Mall is located in a welcoming area of Kelowna known for its beautiful lakeside setting and selection of wineries. Kelowna is home to 236 hotels and other accommodations, so you can find something that's perfect for your stay. 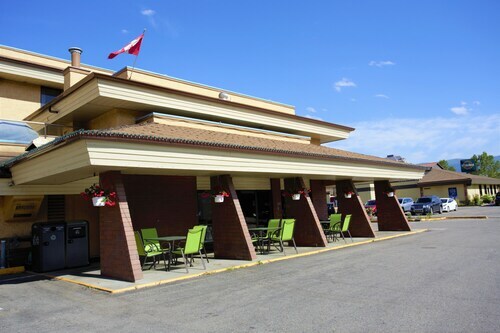 Sandman Hotel & Suites Kelowna: With a stay at this 3-star hotel, guests can enjoy access to 2 restaurants and an indoor pool, along with free WiFi. It's a favorite with Expedia travelers for its bar and overall value. 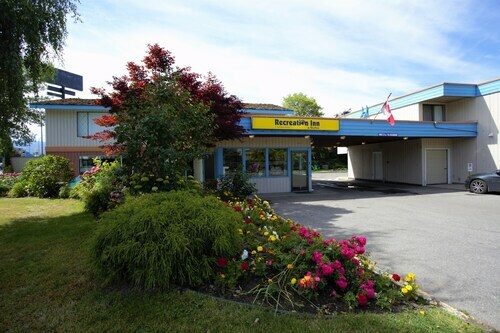 Kanata Kelowna Hotel & Conference Centre: With a stay at this 2.5-star hotel, guests can enjoy access to free breakfast and an indoor pool, along with free WiFi. Our customers like its family-friendly amenities and clean, comfortable rooms. Best Western Plus Kelowna Hotel & Suites: This 3-star hotel features free breakfast, a restaurant, and an indoor pool. Our customers like its quiet location and WiFi. After you've visited Orchard Park Mall, you can explore the sights and attractions within just a few miles of the area. 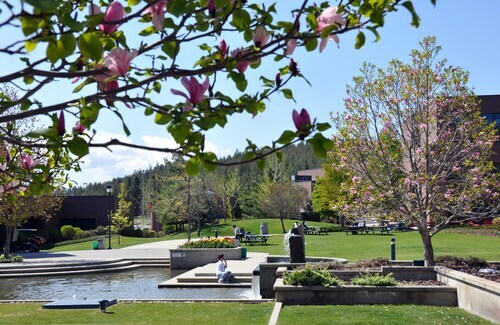 Okanagan Military Museum, Okanagan Heritage Museum, and BC Wine Museum and VQA Wine Shop feature a variety of fascinating exhibits to see while you're in town. Sights like Father Pandosy Mission and Okanagan Lake Bridge highlight some of the local culture. You can wander around Mission Creek Regional Park, Guisachan Heritage Park, or Kasugai Gardens if you want a dose of fresh air. Prospera Place and Mission Creek Golf Club are some sights worth a visit in the area. Spend some time checking out Summerhill Pyramid Winery, which is 5.8 mi (9.3 km) from Orchard Park Mall, or make a stop by Capri Mall, located 1.6 mi (2.6 km) away.